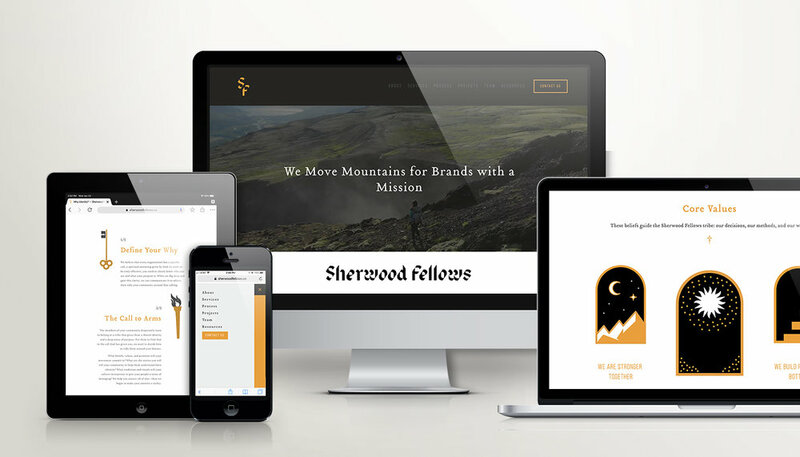 Sherwood Fellows is a creative agency that helps brands create the tools, stories, and community that will make their mission a success. I’ve worked closely with the Sherwood crew on various collaboration projects, including the 8beats Movie website and marketing efforts, Diocese of Dallas annual convocation report, St. Patrick’s parish branding, poster design for the 365, consulting for St. Ann’s rebrand, and more. It’s been such a joy to work with the team at Sherwood Fellows, and I was thrilled when they asked me to head up their website redesign project. Having recently undergone a rebrand, the company needed a fresh website to match their new brand image. Check out the finished product here!